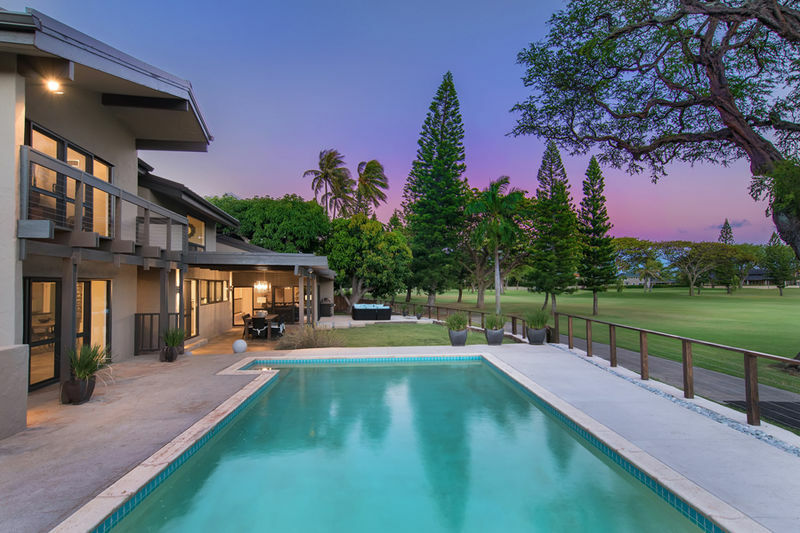 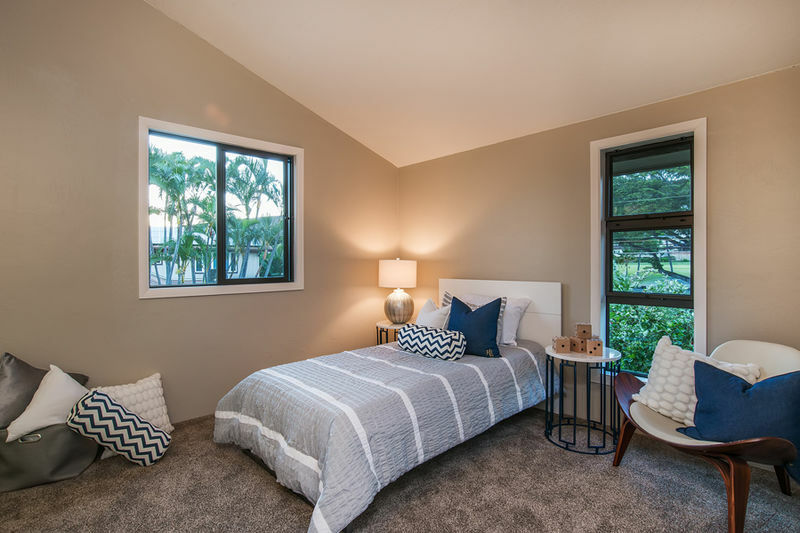 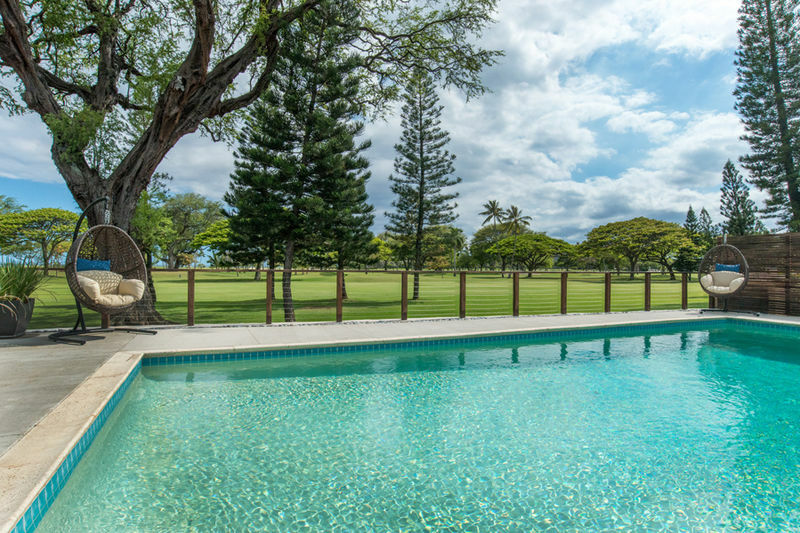 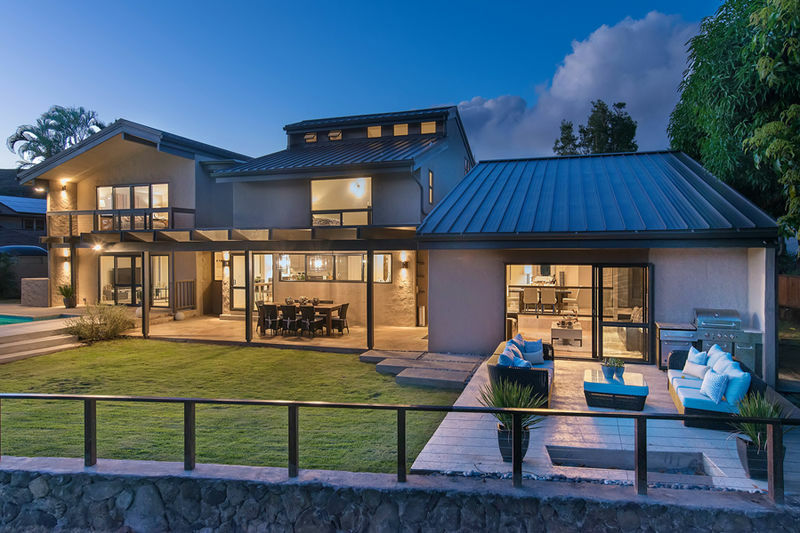 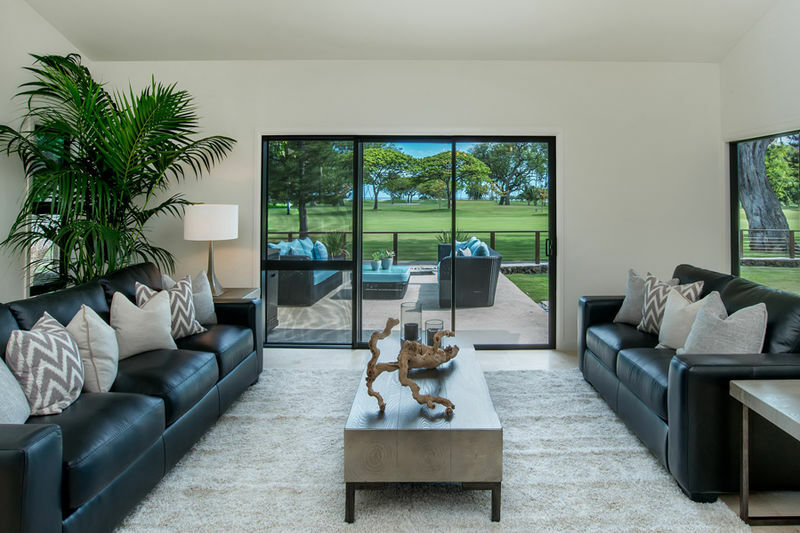 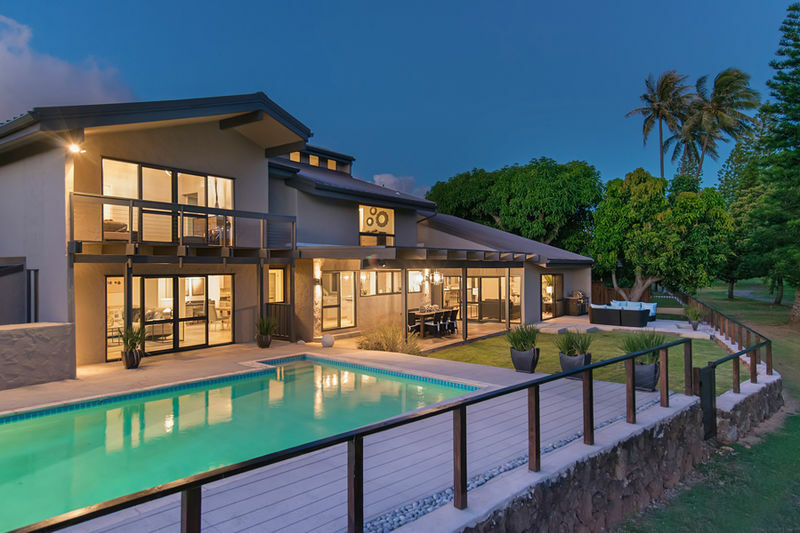 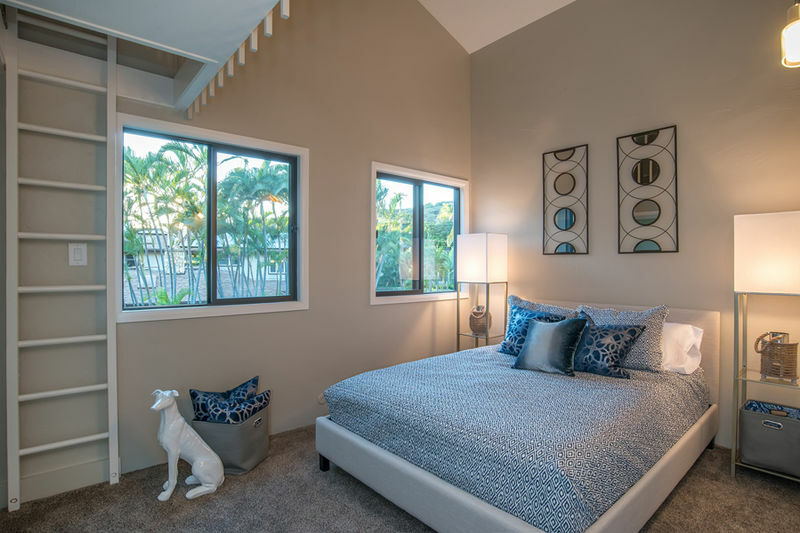 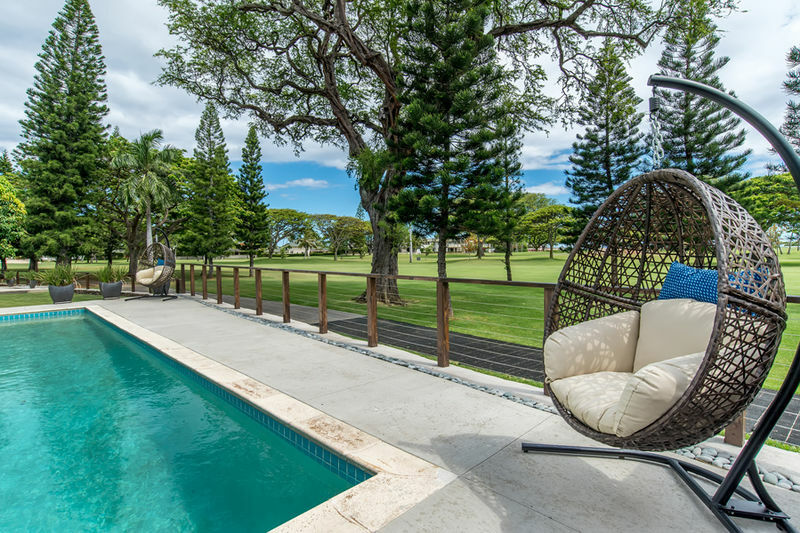 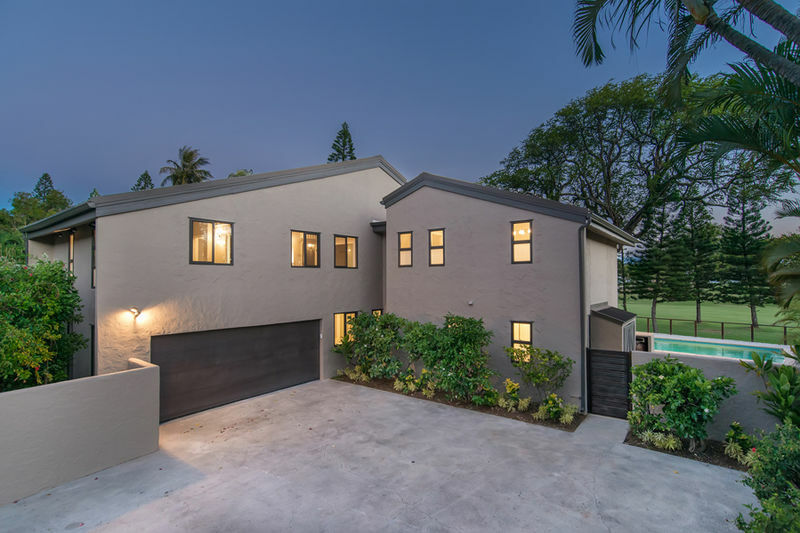 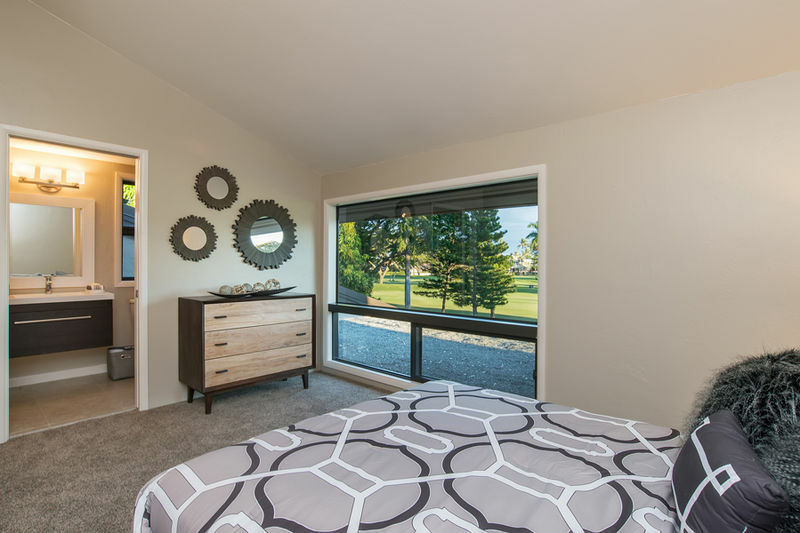 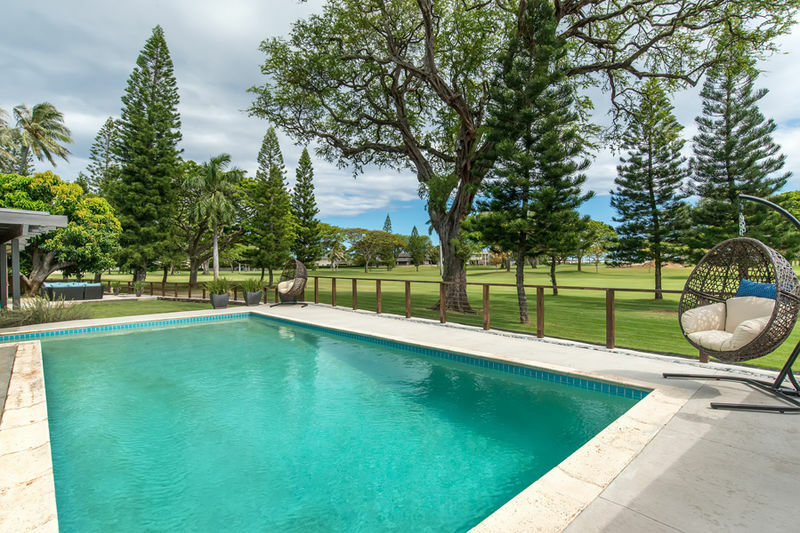 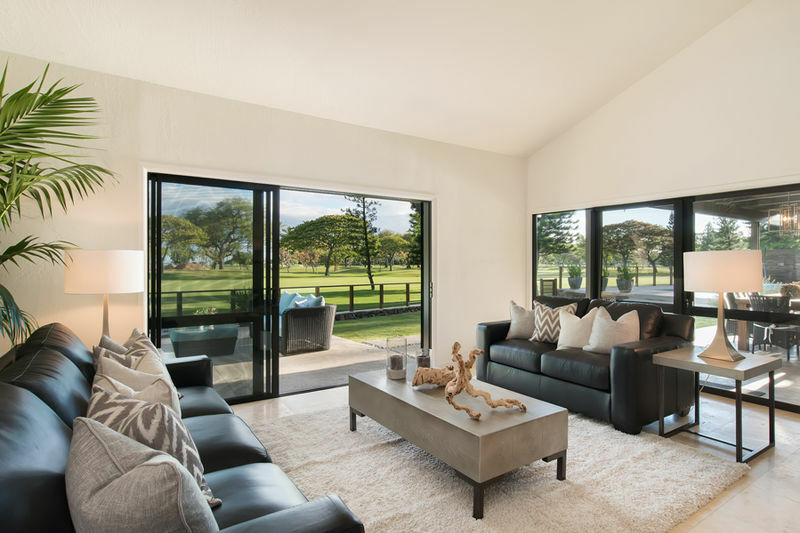 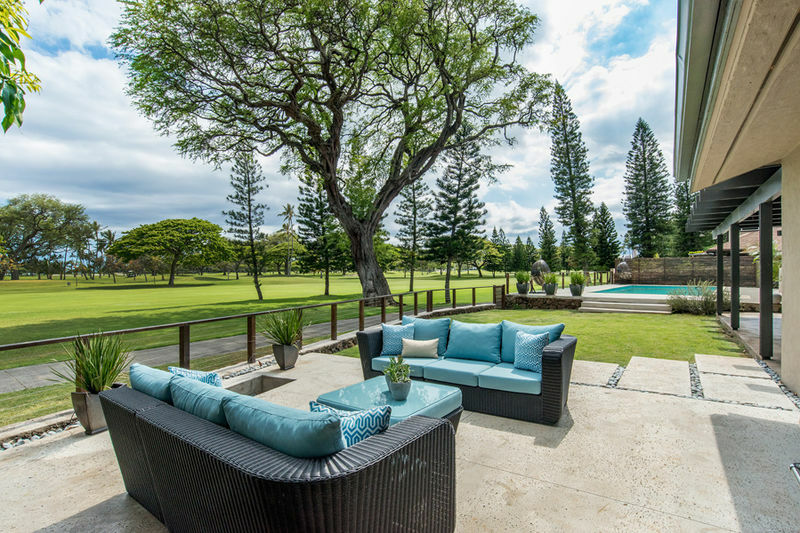 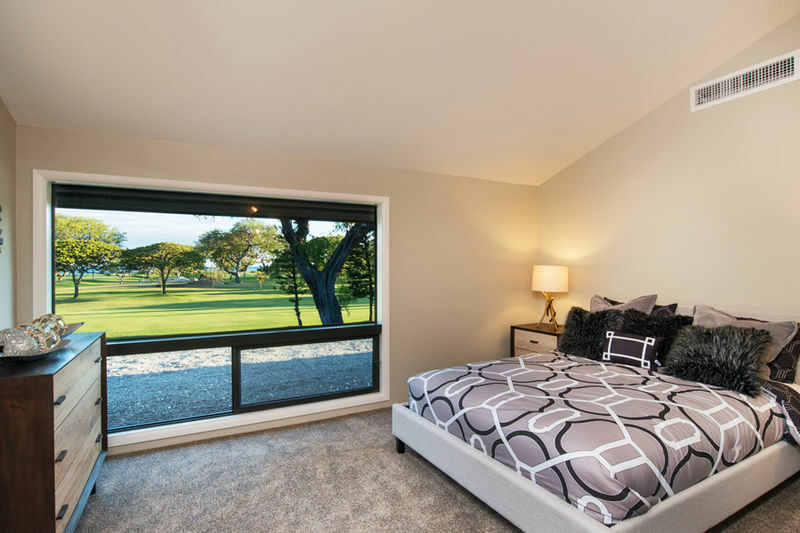 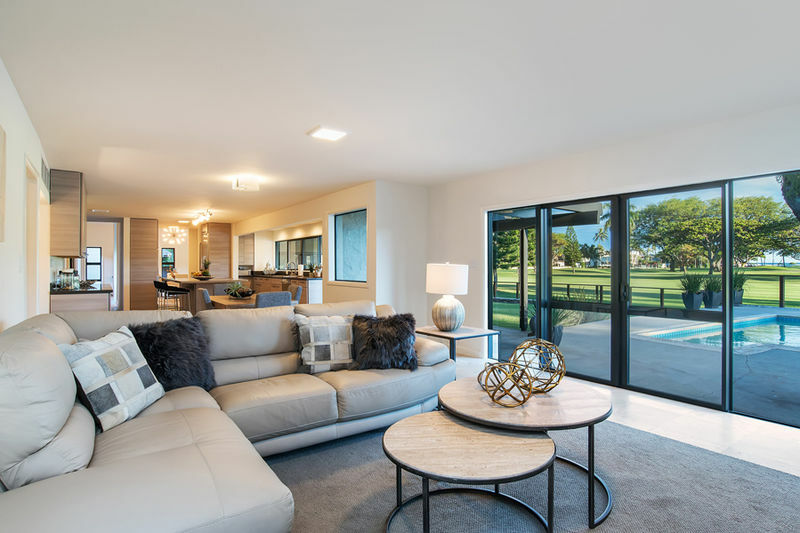 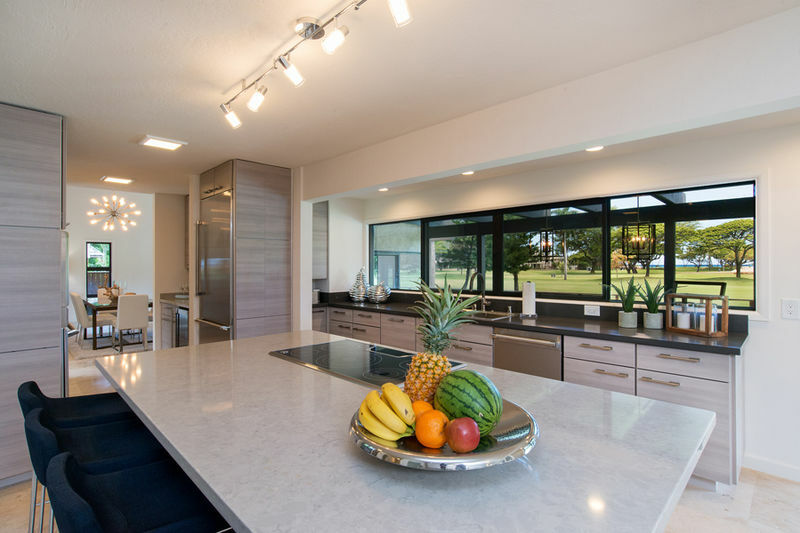 Waialae Golf Villa – Luxury Vacation Homes, Inc. 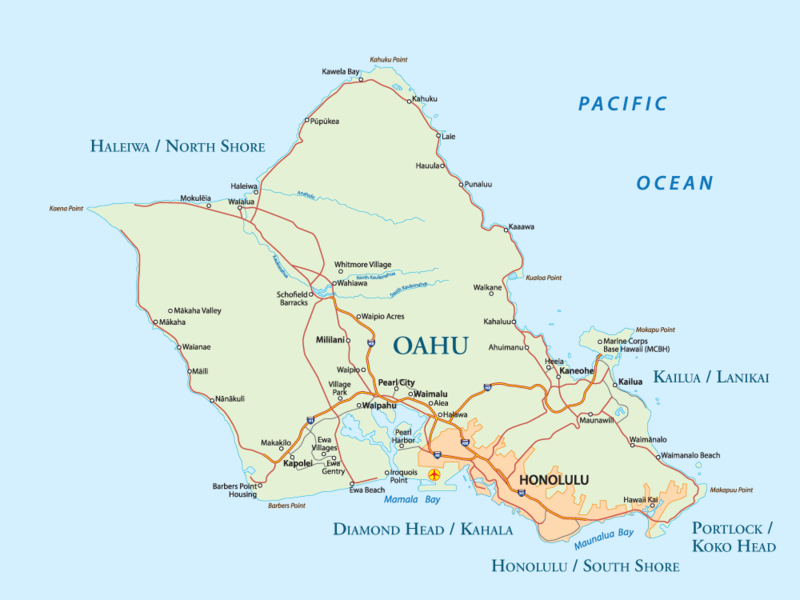 The Waialae Country Club has the famous private golf course where the Sony Open is hosted each year. 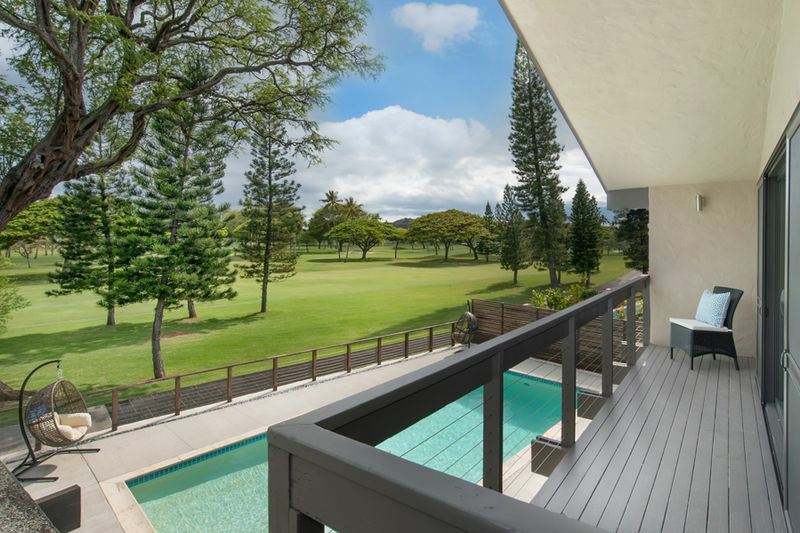 Spoil yourself by staying at the Waialae Golf Villa with over 130 linear feet of golf course frontage and an ocean view. 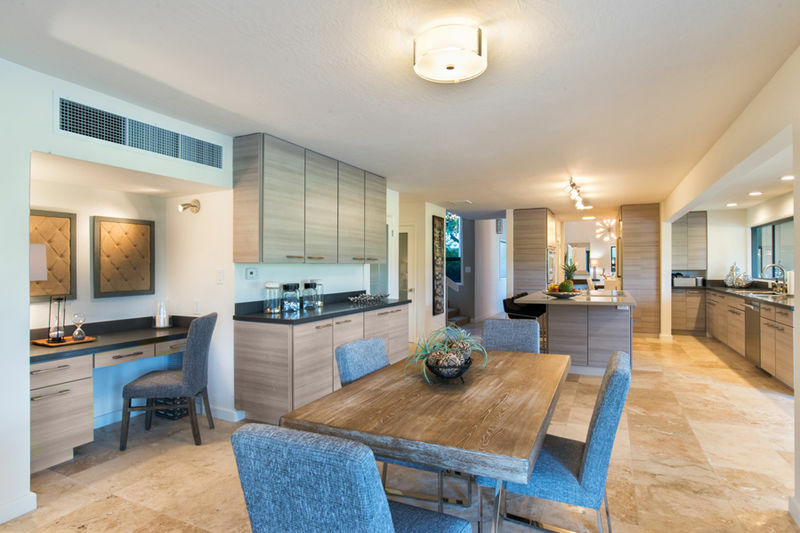 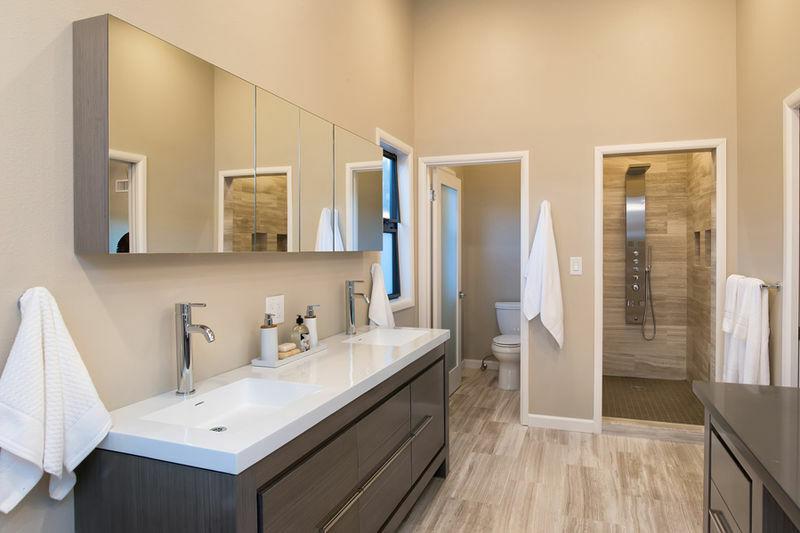 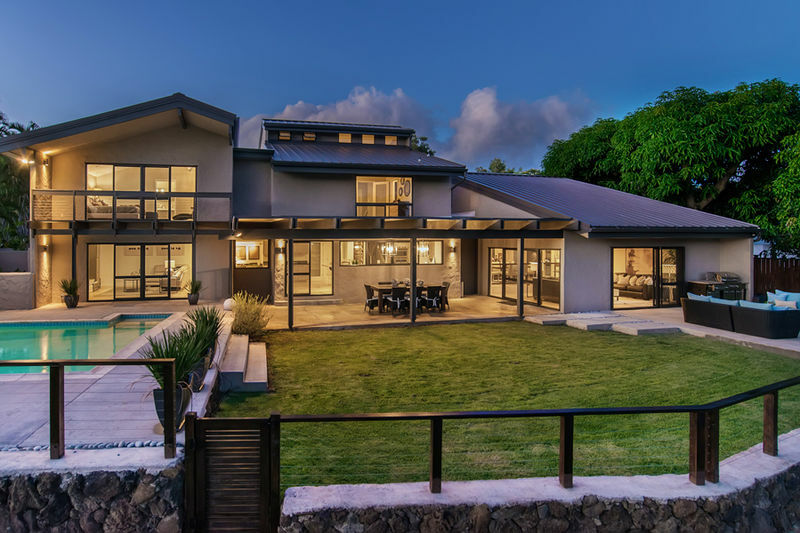 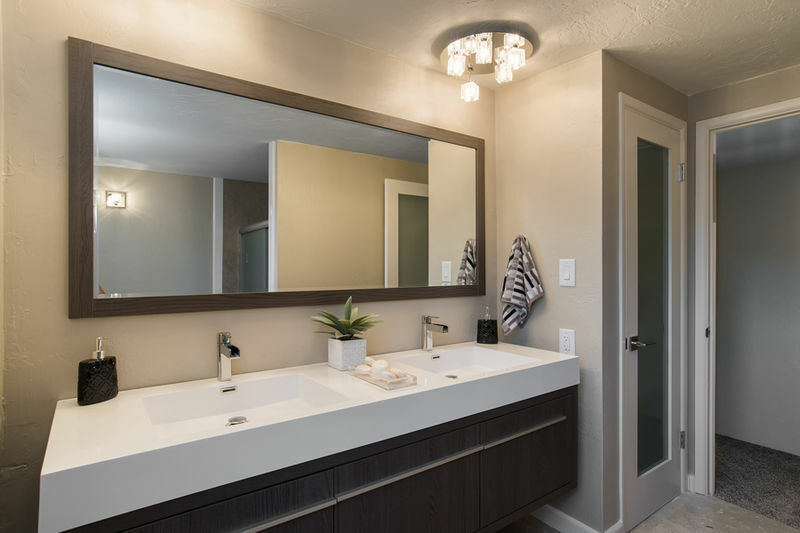 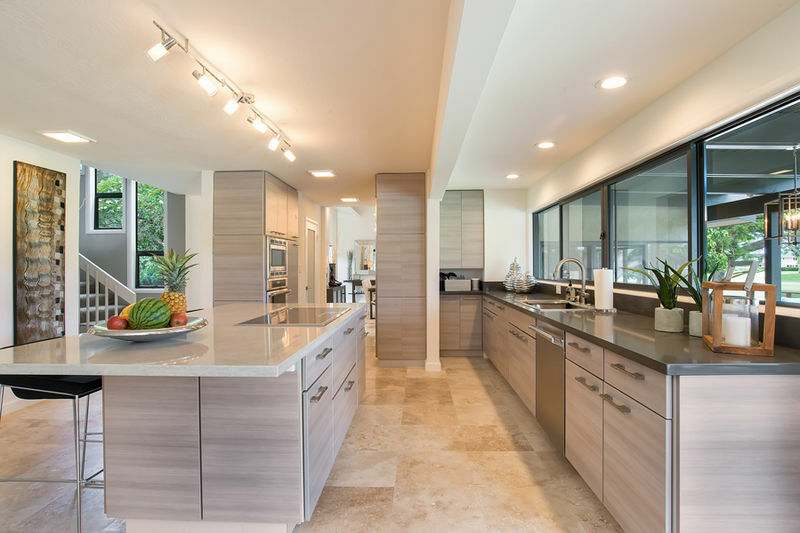 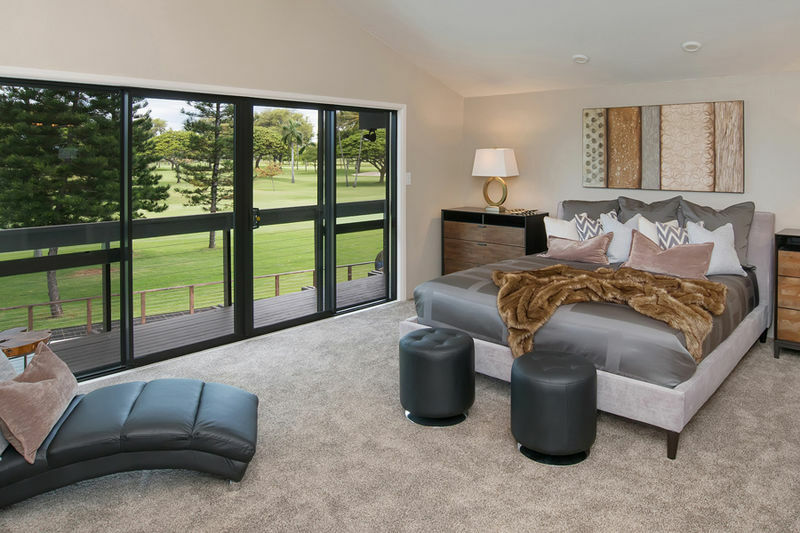 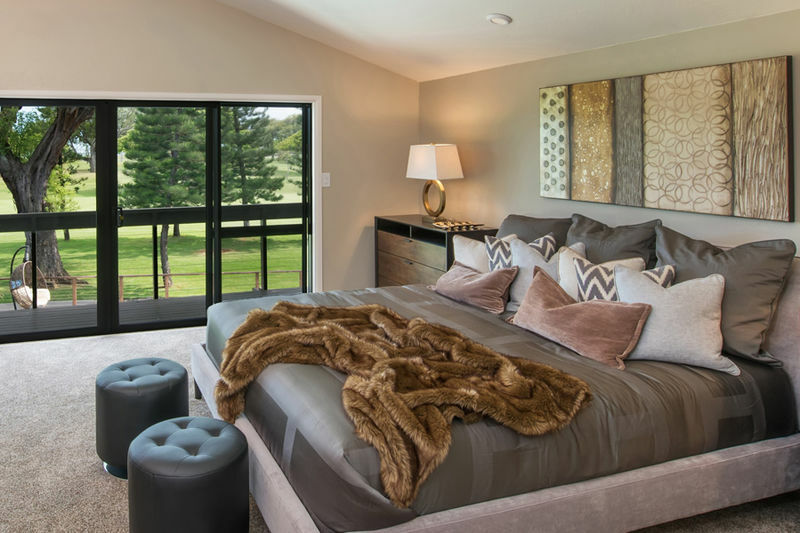 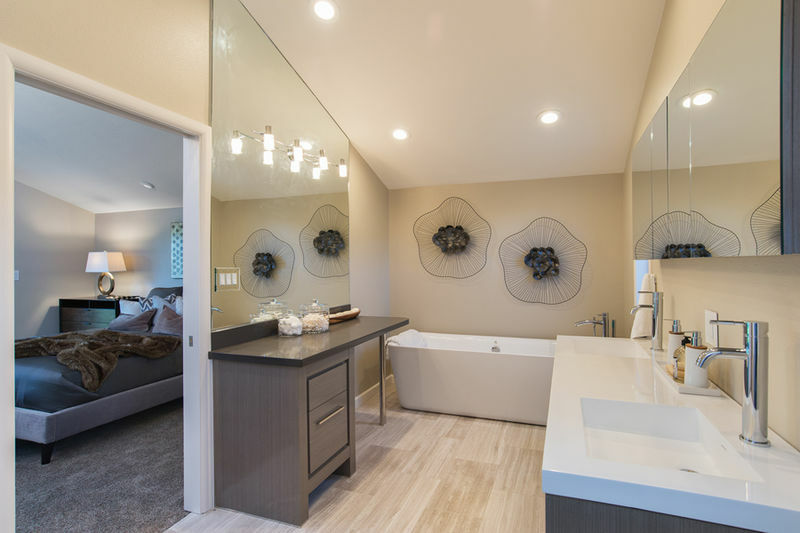 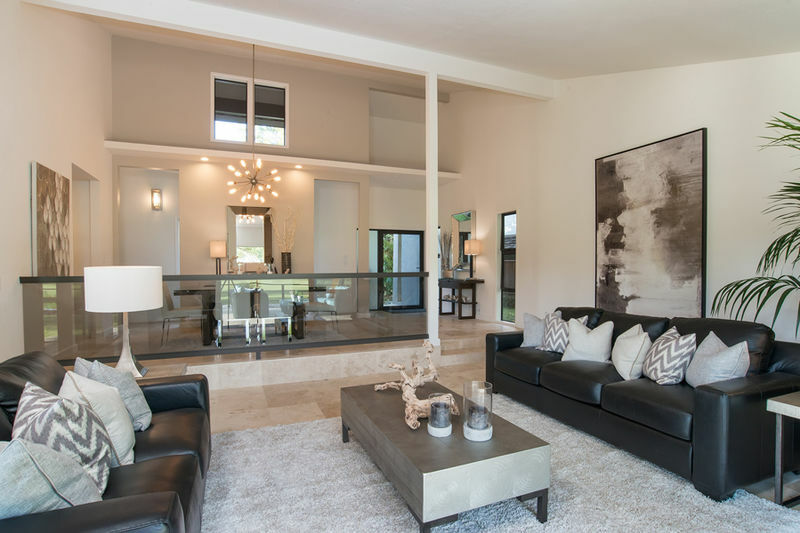 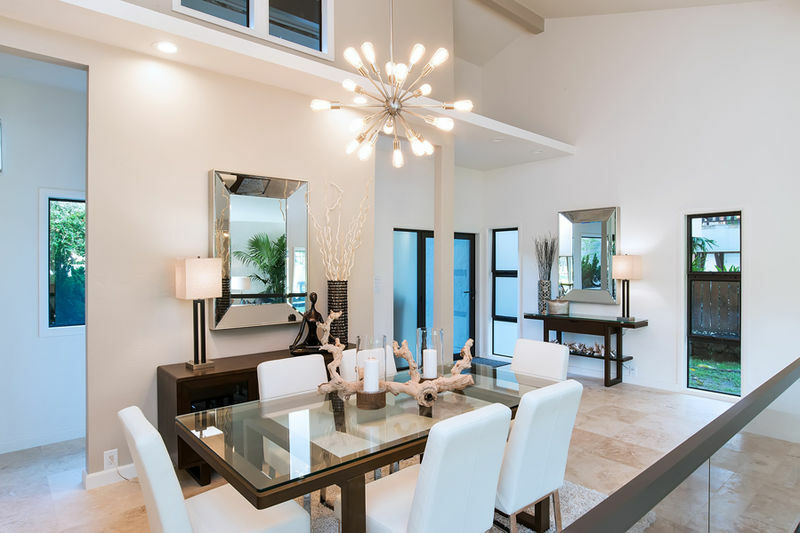 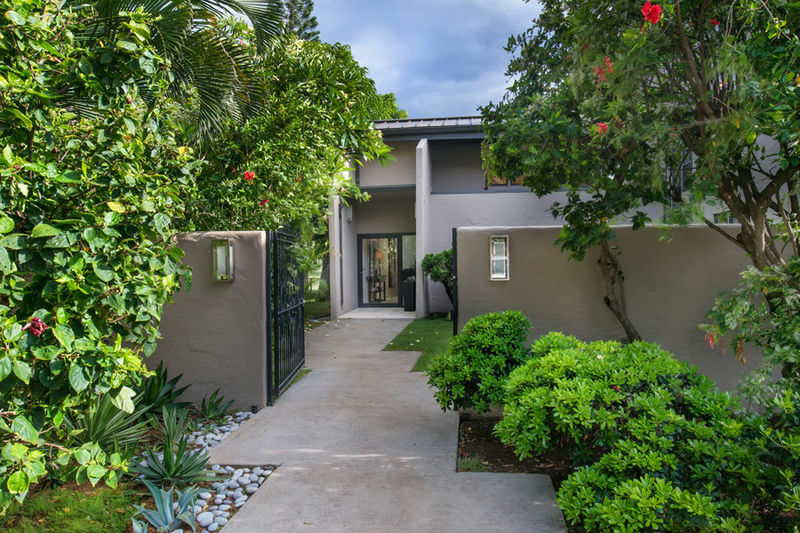 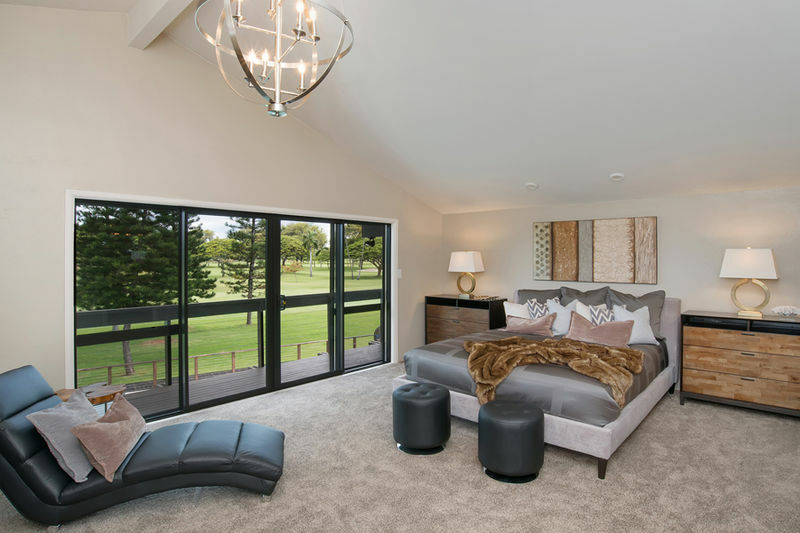 The villa was completely remodeled in 2015 with 6 bedrooms, 5 bathrooms, a plush master suite, luxurious large kitchen with island, exquisite designer furnishings and accessories throughout. 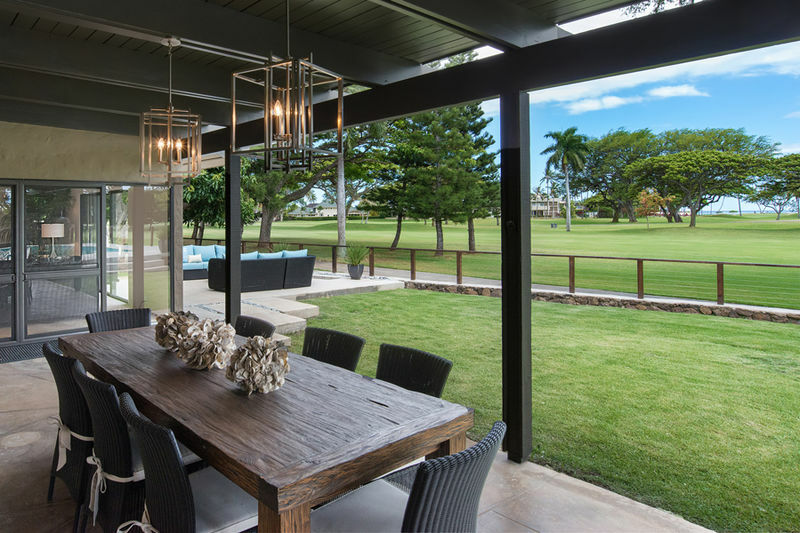 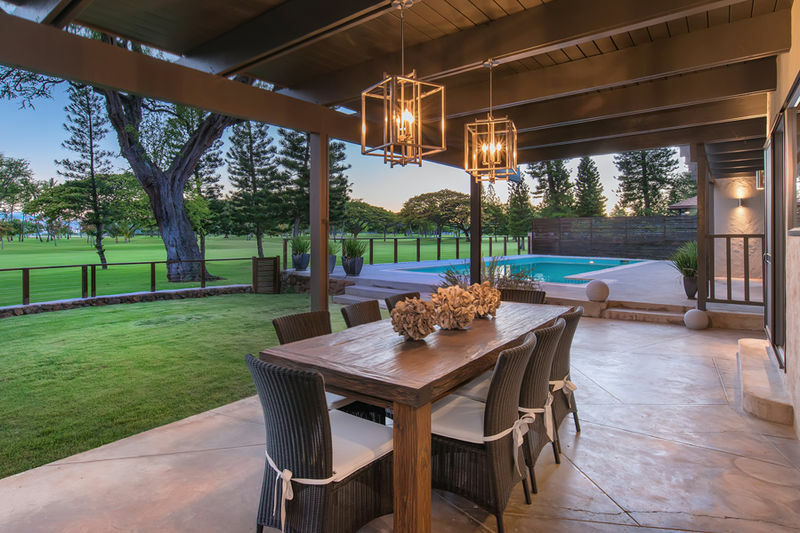 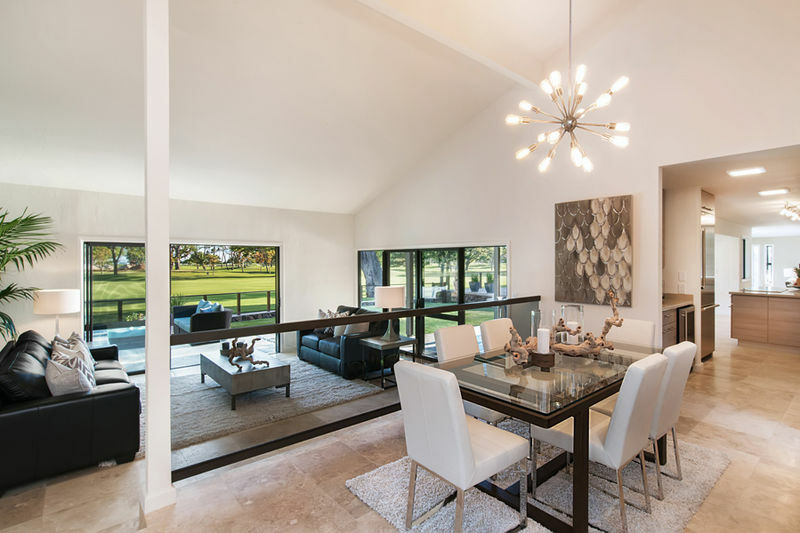 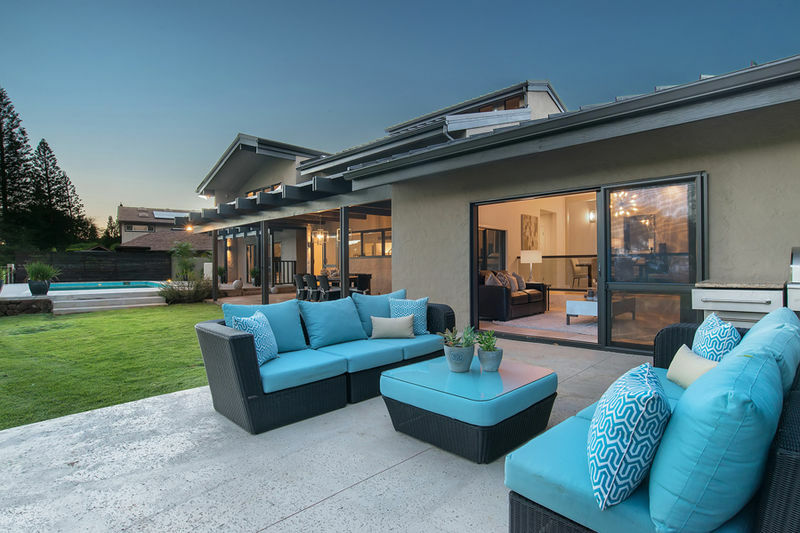 An outdoor lanai facing the golf course features a gas grill, modern couches and a fire pit perfect for entertaining. 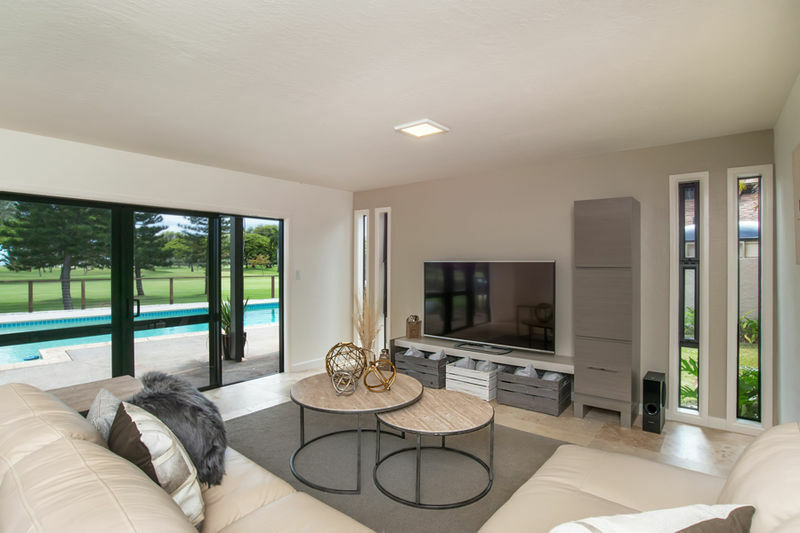 The formal living room does not have A/C but all other rooms have A/C. 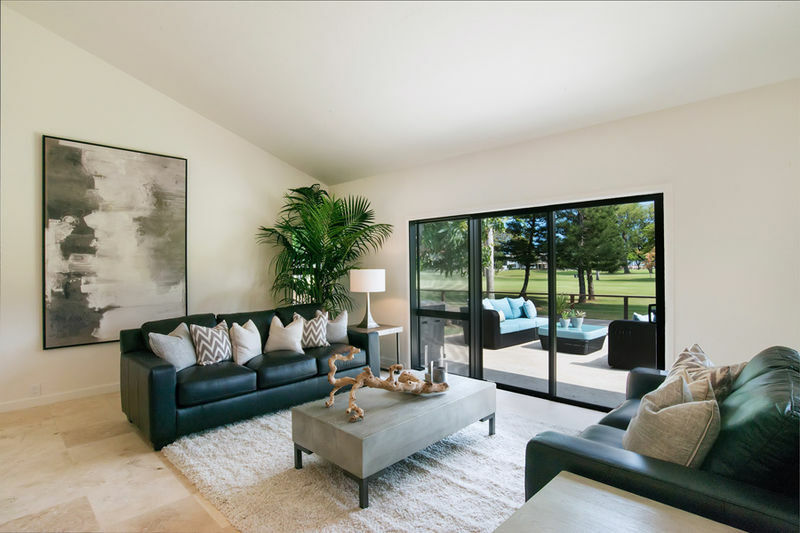 The formal living room has windows that provide a nice air flow for that room. 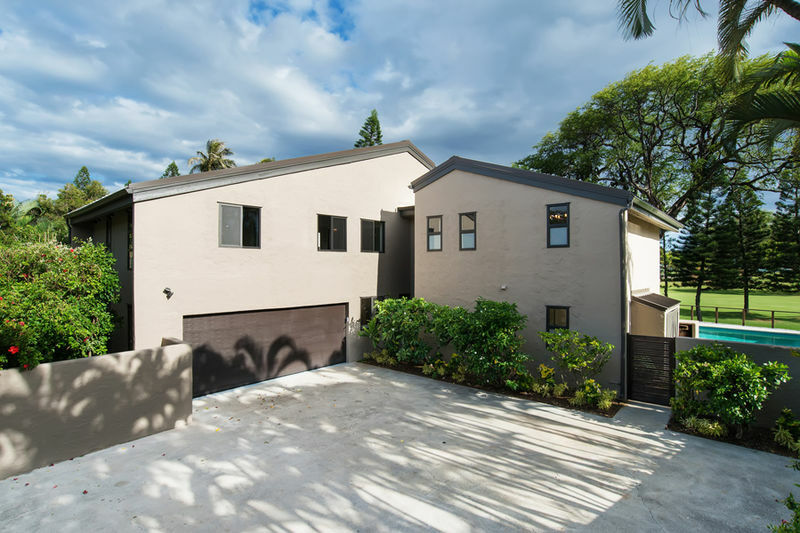 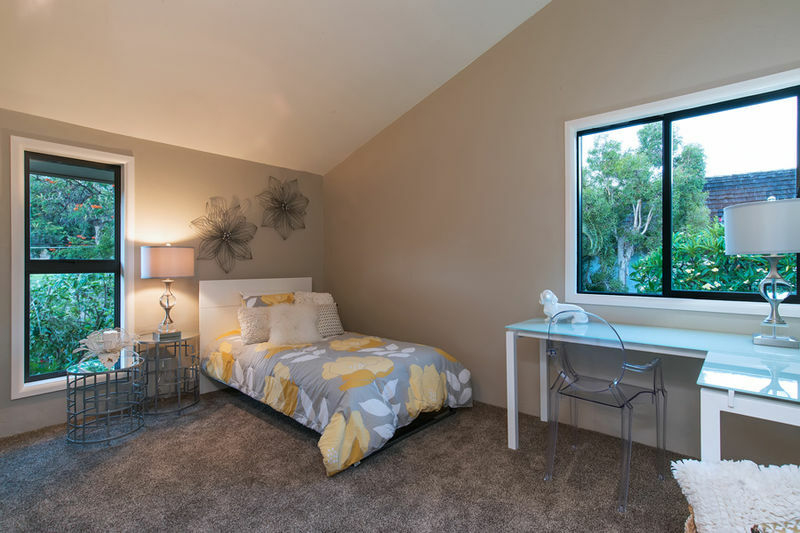 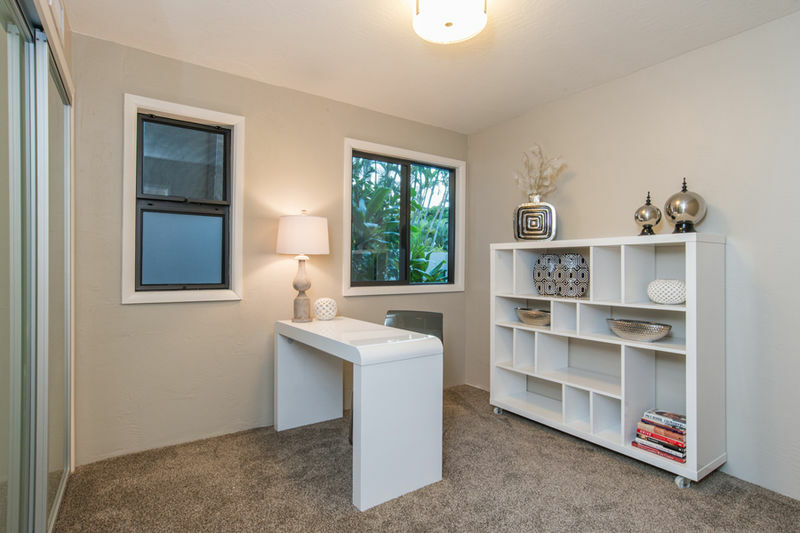 This home is listed for sale and only rents 60 days in advance.